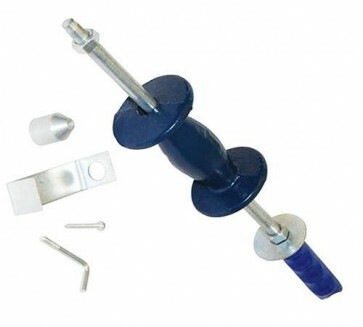 Brand New Slide Hammer Dent Puller 5 piece Heavy duty dual-function slide hammer mounted on robust steel shaft with rubber grip. Pulls out dents from vehicle bodywork and removes difficult to shift bearings from shafts and hubs. Weight 1.5kg. Length 460mm.